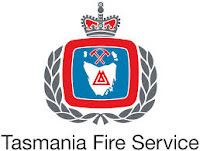 DUE to hot and windy conditions forecast for today and tomorrow, the Tasmania Fire Service has placed an embargo on all fire permits in the southern region until midnight tonight, March 14. The fire danger rating is expected to reach Very High in some parts of the south today and resources have been ramped up to deal with any fire starts. "With temperatures set to reach over 30 degrees in most areas of the state today and tomorrow and the fire danger rating expected to reach Very High in the south today, we need communities to be responsible. Although it is autumn, we are not out of the bushfire season yet and there is no room for complacency," TFS deputy chief officer Gavin Freeman said. "If vegetation fires start in the southern region today, we will automatically have a higher level of response to those incidents in order to get on top of them as quickly as possible. We are still in the statewide fire permit period and no permits will be issued in the southern region until midnight tonight," Mr Freeman said. "We have not issued a Total Fire Ban, however people must be extremely cautious with fire this week and avoid using fire in the open today and tomorrow if at all possible. If anyone has had a fire on their property in recent days, whether it be for cooking, warmth or hazard reduction, they must take all steps to ensure it is safe." The TFS has also issued a reminder that permits are still required for all landowners wishing to burn on their own properties. "Fuel conditions are still dry and permits are still required. The permit system is not designed to stop landowners from conducting fuel reduction burns on their properties, it is there to help us manage the number of fires in the landscape and guards against the likelihood of escaped fires," Mr Freeman said. "Those people wishing to burn on their properties should contact their local permit officer to obtain a Fire Permit first. We still need landowners to reduce fuel hazards by conducting controlled burns when the conditions allow." 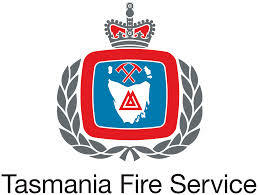 For information on obtaining a fire permit visit www.fire.tas.gov.au or phone 1800 000 699. Monitor ABC local radio or www.fire.tas.gov.au to keep up-to-date with conditions. Dial Triple Zero (000) to report a fire.